If you are good at encouraging others and details you probably notice little things about people or things they do well that others might not notice. God's gifted you with those eyes and the heart to build up so be sure to take the time to tell them when you see the little things. Send a note to say "I notice" and share the details of what you see or appreciate. Sometimes simply writing a prayer and sending it can mean so much to someone who may feel forgotten or discouraged. You could be God's hands that day and His way of letting them know He is thinking about them - through you! Also maybe God's chosen you to be a cheerleader for someone behind the scenes - complimenting them to others and recommending them for things they are good at. With your gift of hospitality, I bet you'd be great at hosting or helping plan a lunch or coffee to say thanks those serving in your church or community that are often taken for granted. It's the little details like verses at each place, a personal note to each person, or gift cards to their favorite shop that says - not only do we want to feed you but we took time to find out about your heart and what would mean most to you. As far as proofreading and other abilities, look around you for those you can help. Pray for God to show you. You have lots of gifts and there is no greater joy than allowing God to love the world through the gifts He's given you - big or small, up front or behind closed doors. I am a Gather & Grow leader and I wondered if P31 has considered having a Bible study that covers the seven principles of Proverbs 31 Ministry. I thought it could be a great way for new ladies coming in to get a real vision of your ministry. I have written several Bible studies and I still keep thinking about one for P31 that covers the mission of the organization. This is a great idea! The book we usually recommend for woman to learn about and apply the seven principles of the P31 woman is called "A Woman's Secret to a Balanced Life" by Lysa TerKeurts and Sharon Jaynes. They both wrote on each principle from different perspectives - one being a young wife with young kids and the other being a mother of an older child who is looking back. Also there is a study for each chapter in the back. But I also like the idea of you writing from your perspective and sharing it with your group. They could help you develop it over time with their questions and suggestions and then you could share it with Carrie and Wendy as a resource to consider for other groups! Your story is encouraging. I think the third servant in Matthew 25 also did not act out of fear and doubt. I totally agree Michelle. I have so often doubted my abilities, doubted that I was really hearing God's assignment, feared failing, feared rejection, etc. I have also been neglectful of the little things because they didn't seem to matter as much as other people's visible callings. I may have a visible calling now but I haven't always. God didn't entrust me with more "talents" like the servants around me until I was totally content and faithful with "one talent" assignments - at home and in ministry. I still fail but He's got my attention and He calls me on it every time. Also, God was protecting me and preparing me for His plans. Honestly, I was more comfortable behind the scenes. I was terrified of speaking and writing. I didn't want a visible calling. I just wanted to feel valuable. I wasn't faithful with the little things because they didn't seem like they mattered as much to God. But there are no small assignments to God. No most valuable player awards on His team. God totally convicted of my wordly perspective of Him and ministry. Over time He brought helped me understand that it's not about the size of my impact or performance - it's all about being Jesus with skin on and going and doing whatever He wants to go and do each day. Serving in big and small ways because I am serving Him. Joy's story below about her friend who is a nurse was a great example. I have a friend who is a nurse in the paliative care unit at a hospital. She often works the night shift. During that time, part of her reponsibilities include changing the dressing and bandaging for patients. This would happen twice during her shift. She said she used to always hurry with the first dressing change, doing it properly, but not taking as much care, knowing she was the only one who would see it, as she would be replacing it again before her shift ended and the next nurse took over. She would be much more cautious with the second bandage change as the nurse coming on the following shift would see the work she had done. One night the Lord really convicted her about her attitude and what she was doing. He asked her if she would do that first bandage change for Him. Maybe no other human eyes would ever see the results of her effort, but He was watching. This totally changed her perspective and she began doing that first bandage for Jesus. I have a few more great questions to answer from CJ, Mary Lu and April, so I'll do that this weekend. I leave tomorrow for a retreat in FL and return Saturday night - no snow and hopefully no delays. Can't wait to see what God has planned. Have a great weekend bloggy friends! I love all the comments and questions that were left under Monday's post. I plan to share more about where and when God took my speaking beyond my church walls. But before we go on, I want to answer some of your questions. So if you have any more about being able and available, ways to be faithful with the little things, etc., please leave them in the comments below and I'll be back to answer them tonight. I had a crazy day and am just not getting dinner started. It's 7pm here. I also have a P31 Speaker team conference call at 8:30 so I'll be back before I go to bed. Tonight's call with our team was great. We talked past 10pm. We can do some talking now...imagine 19 speakers on phone call. But we are pretty good at taking turns. Many people think we all hang out together in some big office but that's not so. We have a really small office and only a few of us get to be there during week. These calls are the only way we get to connect all together since many of us live in different states or in different parts of the same state. I love hearing everyone's voices. I can't wait to see them all at She Speaks. It's the only time of the year we're all together. We do a lot of talking and staying up late then, too. Well, I am a lot more tired than I thought I'd be so I am going to go to bed and come back tomorrow. I probably wouldn't make any sense if I tried to write something tonight anyway....so I'll see you in the morning. “This is the best thank you note I’ve ever read,” Janet insisted. “Renee, you have a writing gift and you need to use it.” I was confused. It was only a thank you note. Yet, later that day I wondered if God could use me to encourage more than just one friend with my writing. I‘d been asking Him for a place to serve in our church. His answer came while I drove home from a women’s dinner that Fall. I’d taken notes on a napkin but I wished I had the message outline to look over. Then I got the craziest idea: Maybe I could write a study guide for the dinners to give women who want to go deeper, too. Doubt filtered my idea through reality. Who was I to think I could write something women would want to read? Several weeks later, I told Janet my idea. She was on the women’s ministry team and told me they’d prayed for a gift to give women after the dinners. Much to my shock they asked me to write a study guide! 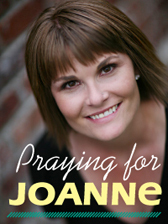 Although I felt unqualified and insecure, with Janet’s prayers and prodding I wrote it. Over 1000 copies were given away. I wrote another the next year and then another. I never felt able, but I wanted to be available. I hadn’t always been available. I was more like the third servant Jesus described in Matthew 25:14-30. The servant worked for a business manager who was going out-of-town. He gave each of his three servants individual projects to complete according to their abilities. The first two were given bigger assignments. Maybe they had more experience or were better at multi-tasking. Both gave their time and talents to serve their boss. He was pleased with them when he returned. The third servant was given less responsibility and he neglected his assignment. Perhaps he thought, “Oh, this little project isn't much, why worry about it? My boss will never notice.” I’ve thought that before. Were the others given more visible responsibilities? Perhaps envy turned to anger toward his boss making him apathetic about his assignment. His manager was not pleased. I wonder how God feels when I’m not faithful with what He’s assigned to me. Our Boss is on an out-of-town assignment. He’s asked eachof us to oversee something in His kingdom, according to our God-given abilities. With each ability comes an assignment that holds the possibility of reward or the potential of regret. It doesn’t matter how much or how little God’s given us. What matters is how we use what we’ve been given. It’s been several years since I wrote that first study guide. It's funny how that was actually the beginning of my speaking and writing ministry. Eventually, God gave me more assignments and just as promised He gave me joy I’d never known. It started with the simple encouragement of a friend and her prayers. But God had more in mind and He took that seed and watered it with the calling of another woman who was simply available. It was all God. He's the One who made me able to give back what He’d given me. Let's pray...Dear Lord, what abilities have You given me that I don’t see? Show me little things that can make a difference for You and others. I lay down my doubt, my envy and comparison. I want to know the joy of serving you! In Jesus’ Name, Amen. Read Matthew 25:14-30. List abilities you or others think you do well. List steps you can today to be a good steward of abilities God’s given you. Click here and scroll down to "How did you get started?" at the bottom of this weekend's post if you want to find out what happened after that first study guide. Okay, I listened to God with real intention, like I said I would, and just like you shared from your own experiences - it was hard. I kept getting distracted by my thoughts. So, I had to start listening out loud. Does that sound crazy? How do you listen out loud? First, I went to GodTube.com and searched for my favorite worship song video clips to help me focus on Him and His glory through music and photos. Then after about 20 minutes of worship and singing, I started talking to God...asking questions out loud. Then I listened out loud by saying what I sensed His Spirit saying to me. If you had been here, you would have thought I was crazy, but it helped me stay focused. My thoughts couldn't interrupt me. I continued as I drove to work. Instead of calling a friend or turning on the radio, I listened. And when I sensed I had listened long enough, I told God what I love about Him, what I appreciate about Him, what I praise Him for - out loud. I am going to keep doing this and I bet my brain will get to a point where I can think about Him and listen to Him in quietness. But for now, I know He is okay with the weird way I have to listen so I can set my thoughts on Him completely, and take them off of me. I have to tell you that after my extending time of listening and focusing on Him, I had the most amazing day filled with a deep sense of joy and peace because my heart and soul were fully reminded of Who He is, Whose I am and how blessed I am to be a women who listens to God. Tomorrow I am going to share where my listening has lead me over the past 8 years. We're doing a Q&A about speaking, writing and women's ministry leadership for the P31 She Speaks conference. If you have any questions you'd like to ask about that part of my journey, just click the comments and ask away. Today I had coffee with a friend who loves to listen. Holly is so good at getting me to open up and talk about things I don't normally talk about. Every time I ask her a question she turns it around and asks me something that peels another layer from my heart. I used to feel bad that she gets me to do most of the talking when we're together, but then I realized she is most comfortable listening. It is a gift. I always leave our times together feeling loved, encouraged and listened to. I want to take the gift Holly gives me as a friend and give it to the One who listens to me day and night. I want to become such a God-listener that when I have coffee with Him, after we're finished with our sweet time and I get up to do life, (even though He goes with me) I want His heart to be so deeply touched that His whispers, "Wow, she just listened. She asked all about me. We talked about what's on my heart, my mind, in my thoughts. She went on and on about how she appreciates me. She spent time simply thanking me for all that I do. Even when I asked about her dreams and burdens, she turned it around and asked about mine. Renee was more concerned about me than she was about herself. I feel so loved, encouraged and listened to after spending time with her." Wouldn't it be amazing if those were God's thoughts after our time with Him? Not only would we be giving to the One who gives so much to us, but imagine how our perspectives would be changed. Our outlook on life and ourselves would be completely transformed if we set our eyes on Him alone. Instead of focusing on what we may think is wrong with us, we'd be consumed by all that is right with Him. Stay with me now, what if we took the magnifying glass we look through each day as we focus on our concerns and instead we placed it on God's character, God's love, God's power, God's provision, God's strength, God's glory. Imagine if He was bigger in our eyes than we are? Oh that it would be so! I want to be a woman who listens to God - not the accuser, not my doubt, not my critical thoughts, not my fears. I want to stop thinking so much about me and start thinking more about HIM! I want to be a woman who hears His voice above all the others. It's up to me to stop talking and start listening. During my coffee-talk with Jesus today, while He brews my faith with His love and truth, I am going to ask, seek, soak, drink and believe. I am going to thank Him, love Him, encourage Him and listen to HIM! Won't you join me? If you found my blog through my P31 devotion today entitled, What's Wrong with Me? , thanks for stopping by. I'd love to hear your thoughts about becoming a woman who listens to God instead of our own criticisms. I'll be giving away my CD - Speak to Me Lord, I'm Listening and I'll share more in the coming days about my journey of listening to Him. Now it's your turn, click "comments" below to share your heart and enter the drawing. Be sure to include your email address. UPDATE: Thanks for your prayers!! It's Monday morning and I'm home. We made it safely to the airport yesterday despite icey roads and snow showers. As we traveled south to Milwaukee the snow became rain and the roads became very clear. Our sweet chauffer, Christie, took us out to lunch in this cute little town and made sure we were at the airport by 4:00pm. Our 6:30 flight took off just after 7:30pm. We arrived in Charlotte just as they were shutting down the airport - it was so empty. I took the shuttle to the parking garage and was in my car driving home by 11pm. I was able to sleep in this morning until JJ got up to take our dog daisy for a vet appointment and I decided to join him. It's back to life at home and I am so glad I get to spend this day with my family instead of in an airport or hotel. Thank you, thank you for your prayers. God has such a sense of humor. I have learned to laugh (most of the time) at how He allows circumstances to "help" me live out (again and again) the things He's taught me and called me to share. This weekend has been one of those times. I've been speaking at a women's retreat in Wisconsin. I got to the airport on Friday at 8:15am for my 9:30 flight. I had a full tank of gas (remember last week), cash in my purse, and I was ready to go! My plane was not. My plane did not show up early. My plane was sitting in Milwaukee waiting for a flight crew. So I sat and waited for my plane...and waited and waited. It was delayed until 12:30, then again until 2:00 then again until 3:00. During my 7 hours of waiting I heard myself talking (in my head) about how easy it is to get frustrated by life's delays, you know when things don't go as planned. When God doesn't work according our schedule. Roadblocks that forbid us from moving forward. But but how God often allows roadblocks to become rest stops. Hmmm, that is what I'd be talking about on Sunday morning (today) as I ended the retreat...and once again I was getting to live it. The blessing in this delay was that this time I was not traveling alone. My friend, Aimy, was traveling with me. So, we parked ourselves at the Starbuck's and had ourselves a latte. We both had our laptops and made great use of our time. I had a power point to finish for Friday's night's message, calls I'd been wanting to make, things I'd been needing to read. It could have been a lonely and frustrating pause, but with friend by my side and God's perspective in my heart I felt peace. We finally took off at 3:15 and landed in Wisconsin at 4:30pm their time. The event started at 7:00pm and we had to drive 1.5 hours to the retreat center. We got here just in time.It has been a great weekend. The women of Fox River Christian Church in Waukesha are one FUN bunch of girls! They planned this whole retreat for over 180 women around a luau theme. We had a beach boys band Friday night, an authentic luau last night with a costume party/contest, limbo contest, hula dancing, etc. We have cried and laughed and shared our hearts deeply with God and each other. This morning I am teaching on Psalm 23, how the Lord is our Shepherd, the One who leads us on life's journey. One of my points is that He leads us beside still waters and makes us lie down - and how these rest stops sometimes look like roadblocks. I'll also talk about how we walk through the valleys but He is with us. My point there will be to not get discouraged by danger and delays. As I watch the weather channel I realize I may get to live that lesson out today. Wisconsin is now called the snow capital of the country and they are expecting a huge snow storm. Our flight home is scheduled for 6:30pm, not much wiggle room for delays. But God is bigger than planes and my plans. However, I sure would love to get home. My guys are out of school and work tomorrow and I'd love to have that time with them. Yet, once again I have a choice to to set my eyes on my Shepherd and trust that He will lead me well. Well, I finally got a shower today. Boy do I feel and smell better! Andrew was snuggling with me tonight, rubbing my fleece sweatshirt and then told me how soft I was. Ahhh. Felt like a big cotton ball. (Love it when he's sick b/c he reverts back to childhood and lets me get close to him). He seems to be getting better although he was still coughing pretty bad tonight. He has asthma so I have to really watch him close when he gets upper respiratory yuck. We have a doctor's appointment in the morning just to make sure his lungs are clear. Now back to where we were...I went digging through old journals tonight, trying to remember ALL that God has taken me through. It's a journey of many years. It's good to go back and remember. I am looking forward to sharing it with you. I know it will take time and I'll write as often as I can while also traveling to speak and keeping busy with P31 radio, devotions, etc, which I love. I just sometimes wish I could press the pause button and write everything I want to share all at once. I am going to try to write a little each day. Will you pray for me to be able to blog more often? I love to write but life has lots of things attached to my time these days. The story I shared about finding the real me and discovering your uniquely you came from a very hard time in my life. In 1999, I came to a breaking point. I had been a Christian for 10 years. I knew Jesus said He came to give us abundant life, but there was nothing abundant in my life except busyness, obligations, guilt and self-doubt. I felt like my heart was shriveling up to die. I had lost the closeness of my first love - Jesus. He hadn't moved away, but I had. Although I had been walking with Him for 10 years, somehow I had gotten lost along the path. The patterns of people-pleasing and performance-based living had found their way back into my life and were guiding my every thought; my every decision. I was now bowing down to the idol of others' opinions. The odd thing is that it looked like I was living for God and serving Him with all of my heart. I was a stay-at home-mom, volunteering 15-20 hours each week for P31 from my living room or kitchen table (thanks to internet). I was on the women's prayer team at church. I co-lead a mom's Bible study. I attended another study at church on Wednesday nights. I reached out to women in my neighborhood. I dropped everything to help a friend in need. My house was way to clean and my family probably felt like they lived in a display case instead of a home. It was my way of trying to be "perfect" - I know it's sickening and believe me it eventually made me sick, at heart. Some say to be careful when talking about finding the real me, and I understand. There is an important balance. I am not saying find the real "you" so you can neglect everyone else and be "happy." I am saying, delight yourself in HIM and He will give you the desires of your heart - to match His desires for you. I am saying find out who God wants you to be. Find out what makes your heart come alive. My heart was no longer alive. It had gone numb. I was slipping into a pit of depression. Focused on serving other people for the wrong reasons, I felt hopeless when my accomplishments or their compliments didn't satisfy. I had assumed God wanted me to busy myself with good things in His name. But instead of asking Him what He wanted, I became who my mom and dad wanted me to be. Who my husband and kids needed me to be. Who friends and co-workers expected me to be. So, today I want to encourage you to ask God to show you two things. First, His absolute delight in you. Just simply be still and let Him love you! Then ask Him to show you one thing that makes your heart come alive. Is it reading? Is it writing? Is it colors, flowers, smells, bubble baths, music, artwork, laughter, order, encouraging others, making something with your hands, exercise, ___________? Is there time in your busy life for you to experience this regularly? Let's share them here by clicking "comments" below, and encourage one another with ways we can carve out little pockets of time to help our hearts come alive. This is just one small thing I started to think about way back in 1999. It brought hope to my heart and helped me find my joy in Christ and the unique desires He wanted to fulfill, instead of me seeking to be satisfied by my performance and others approval. Sweet friends, I have been wanting to continue our heart-stirring, soul-searching talks. I feel like I shared my heart, asked a few questions, you poured out your heart, mind and soul and somewhere in there we got interrupted and I had to leave the room. Uggh, I would never walk out on a friend when she was talking. Some of you have asked such deep questions. Ones I have been praying about and wanting to answer. I will be back tomorrow to share my heart and thoughts, too. But before I go to bed, I wanted to grab a quick minute to tell you where I've been. It's been a crazy week, and it's only Tuesday night :->. When I got home Sunday evening, my friend Rachel came in town to stay with me for two days. She is the Sr Editor of the P31 devotions. We had meetings Monday and this morning. Yesterday I worked in the office catching up on emails and making sure we got all the orders filled for the Shaped with Purpose workbooks. We had over 70 orders. Wow, that was crazy. Then Rachel and I came back to my house to hang out with my kids. Around 5pm, we left to meet Lysa and Melanie, our assistant editor, last night to talk about devotions ministry things we needed to cover. We got kicked out of the restaurant at 9:30pm because they needed to sweep under our table. It was a very productive meeting and we had great girlfriend-time, too. Today I woke up and noticed it was kinda chilly and kinda quiet. I soon discovered that it was cold because our heat is broken downstairs and it was quiet because Andrew is sick. He's got a low-grade fever and bad upper respiratory congestion and coughing. I kept warm today with a little heater at my feet and when I was in the kitchen, I turned on our electric stove to 550 degreees and left the oven door opened. It worked pretty well. It's 11:06pm EST and I still have on my sweat suit that I threw on to take Joshua to school at 8am. Nope, didn't get a shower today. Hopefully tomorrow will be more promising. Wow, okay so the west coast hangover has made me quite dingy. I had no idea how many pages would be filled with your heart-sharing comments. It started out with 108 but I shrunk the fonts, reduced the margins and hit print. The final was 76 pages of precious comments! My little ink jet at home would've choked :->. Thank you Lord for the P31 office printer. Great blog today. I feel like I'm constantly trying to figure out God's purpose for my life. Maybe your book will help me. CJ is also a winner. I wanted to give a 4th set to CJ, the first one who left a comment. Her transparency ministered to so many and set the day in motion with real girl-talk. So many of you commented that CJ had written just what you felt. Thank you CJ for your willingness to share your heart with us. Please leave your email if you are one of the winners. If not, I picked some alternates so let's see what happens. Have a great day friend! PS. If you didn't win and you'd still like a copy, click on this link (Shaped with Purpose Workbook) to the P31 website where you can order my Shaped with Purpose Workbook. I also have a CD of me speaking about it - has more of my personal story and in depth teaching, but it's not yet on our new site. If you want to order both, please call 877-731-4663 and ask for Teri. I'm home!!! I got to the airport early today, had lots of time to linger, even bought my own lunch from Starbucks to take with me on the plane, thank you very much! (If that makes no sense read this). And I had cash on me, too! Okay, I have not been drinking but I surely do have a hang over! Oh my, I am going to sleep good tonight. My trip to CA was amazing. I just loved the women at Crossroads Christian church. They planned a great event and were so much fun to hang out with, and their love for Jesus is contagious! My time with Cris was off-the-chart fun. We had such great girlfriend time. Now you my friends totally "blessed my heart" and caught me by surprise with how many of you can relate with my story of trying to find the real me. Wow, I had no idea so many have similar struggles, questions, thoughts, etc. Your transparency and the way you have encouraged each other and me is more than I ever imagined would happen. I just love it!!! I'm praying about how to answer your questions and how I can share more of what I went through and the process of discovery. First, I gotta get my brain cells back in order. I woke up every two-three hours for the past few nights so I am a bit loopy. I proved it to my sweet husband when I stopped to get dinner on my way home from the airport tonight and locked my keys in the car. He had to come rescue me. Such a patient man. I wanted to print out your comments and do a drawing tonight, thinking there would be a whole lot less that there are. But my ink is low and there are more comments than I expected. (It was so awesome to have so many new friends come from the P31 devo to join in our girl talk), so I need to print them at the office tomorrow for the drawing. I wish I could give a gift to every single one of you but that's not realistic so I've decided to give more than one. I will list the winners for 3 Shaped With Purpose sets tomorrow by noon EST. See you then! My devotion "The Real Me" is featured today at Proverbs 31 website and Crosswalk. If you found my blog through my devotion, I am so glad you stopped by. The journey God's taken me on to become the woman He created me to be has totally changed my life - and all of my relationships - for the better. I hope I can encourage you with what I've learned. Have you ever wondered why you are the way you are, or why you do things the way you do? From the time I was in Jr. High, I didn't really like who I was, so I compared myself to those around me and tried to figure out who people liked the most, so I could be like them. It was exhausting! You are uniquely you for your unique God-shaped purpose. We are all "God’s masterpiece. He has created us anew in Christ so that we can do the good things He planned for us long ago.”Ephesians 2:10, (NLT) God created you with a unique personality because you play an important role in the story He’s been writing since the beginning of time. There are certain thing He wants to do through your life and that is why He gave you a personality that is one-of-a-kind! What are your greatest strengths? What are things you think you need to work on? What challenges do you face in discovering your unique "you"? Click on the word "Comments" below to share thoughts or questions. Or simply leave your name and email to be part of a drawing I'll do this weekend to give away a copy of my CD and Workbook, Shaped with Purpose: A Practice Guide for Discovering Who You Are. Each comment will be entered for the give-away so be sure to include your email. I am sitting all alone in the Phoenix airport. I got to the Charlotte airport 9 hours ago. I was scheduled to leave at 9:35 on a direct flight to San Francisco, landing at noon and spending the day with my dear friend Cris. She lives in Sacramento and is going to pick me up and drive me to Vacaville where I am speaking this weekend. I have not seen her in over a year. We were going to spend the whole day together, but I missed my flight this morning. So, I was re-routed to Phoenix and will be here for 3.5 hours waiting for my next flight. I'll arrive in CA at 6:55pm. I will have spent 13 hours in a airplane or an airport today. Poor pitiful me! If only I had packed a smaller suitcase. I was running late but I got there 4o minutes before take-off. I could have made it to the gate, but they would not take my suitcase at the counter, and they would not send it on the next plane to meet me later. You have to travel together, they said. It didn't even hurt my feelings that God didn't give me a nice airport person to help me. I mean it would have been great if He had. It would have been wonderful if I had not gotten stuck in horrible traffic and very helpful if He'd reminded me that my gas tank was empty and I needed to allow more time. I almost cried at the ticket counter, but I decided to be a big girl. I made a choice to be encouraged that God wanted to spend our day together alone, in a different location. So I moved my car to a cheaper parking lot, got myself a latte and called two friends. I needed someone in the world to feel sorry for me. I was doing okay and making the most of this "opportunity." I boarded my new flight an hour and a half later, got out my Bible and started reading, even talked to the people beside me. We were going to be in the air almost 5 hours and I was tired, but I don't sleep well next to strangers. So I decided I just needed a little protein to give me some energy and I'd be fine, as long as I got some food in my stomach. It was noon by now and they announced our menu options...my heart pitter-pattered, my mouth watered, my tummy grumbled and I reached into my purse for some cash. And that is when it happened. There was NO MONEY. Okay God, my feelings are hurt! I mean You knew this was going to happen, couldn't You have remembered to put lunch money in my purse!? Then I thought, maybe my my new friends sitting on my aisle will offer to cover for me. But instead, they gave me their peanuts. So, I ate 6 paks of airplane trail mix and drank the rest of my cold latte. I know God loves me. I know He's with me. He even provided some good airport food here. I will still get to see Cris and spend time with her tomorrow. But I am still pouting... and I need a nap. Yesterday when my ten-year-old Andrew got home from school I asked if he wanted to go out for dinner and do something fun together since Joshua and dad were having their “guys night out” (something JJ does each week with one of our boys). Joshua got home an hour later and Andrew asked him if he and dad could go out another night because he wanted them to all hang out again like they did the night before. I told Joshua laughingly how Andrew had totally ditched me – even demonstrated the scanning and eye-rolling. Both of them cracked up laughing. Where did this kid get such insight? He was right and so matter of fact about the whole thing. Then he gave me a big hug like he thinks I’m cool and all that. Well, JJ and Joshua went out for Indian Cuisine and Andrew was stuck with me! And just like any fourth-grade girl who has a crush on some cute guy would do – I baked him a frozen pizza, brought it to the bonus room, set up some table-trays I'd found in a closet downstairs so we could eat while we watched tv together and announced to him that I still wanted to hang out with him. This was big stuff 'cause I never let them eat in the bonus room. He jumped off the couch, grabbed me and gave me a big hug and said, “Now, I LOVE you." So glad it's unconditional - let me tell ya. He's such a guy. I should have handed him the remote control and really watched him melt in my hands! Recently it dawned on me that when I ask, "What's wrong with me?," I am actually telling myself that something is wrong with me. Then I try to figure out what my illusive fault is so I can fix it. But honestly, my greatest fault is hidden in the question I'm asking and the statement I'm making with those four powerful words. Why? Because every time I ask, "What's wrong with me?," I tell myself that something is wrong with me. And if you are doing it, too, let's make a pact to stop. You see, if we keep telling ourselves that something is wrong with us, we will live defeated and discouraged lives. I know most of us didn't even realize (until now) that's what we were doing, but now we know and we gotta do something about it. Otherwise, the 'real me' (and real you) will never make her debut. (I am sorry that rhymes.) But it's the truth. She won't want to reveal her gifts and personality because she'll be convinced that she's got so much wrong with her that no one would ever want to be her friend. She'll assume that every time someone doesn't call, doesn't initiate, doesn't invite... that it's because something is "wrong" with her. But when we discover and embrace our unique traits, strengths, gifts, abilities and the preferences and quirks that come with them, we'll realize we are the way we are because it's all part of our "package." None of us is perfect. All of us have strengths and weaknesses, but we are "fearfully and wonderfully made" - just the way God planned. However, there is someone who wants us to ask that question. He often whispers it himself, what's wrong with you? We have a spiritual enemy who's determined to convince us that we're alone in our struggles. He wants us to focus on our faults and spend our days plotting strategies to hide our flaws. It's the plot we see in the Garden of Eden. I wonder if Eve might have even said,"What's wrong with me?" when faced with her inadequacies and insecurities. How quickly she began to cover up. But think back with me to what God said to Adam and Eve soon after? He asked, "Who told you you were naked?" (in other words,"Who told you there's something wrong with you?") God acknowledged someone else was speaking shame on them and it wasn't HIM. He was warning them that they had an enemy whispering lies into their hearts, causing them to move away from Him and each other. Also, this weekend I was reading all of your comments that mean so much to me. Amy's confirmed the power of us sharing our hearts/stories and the power of us not thinking we're crazy, or full of faults. She said, "Thank you for being so transparent and real and revealing your struggles so we can know we aren't crazy and aren't the only ones who are having these thoughts." Isn't that what being friends is all about? Thank you all for being so transparent and sharing your heart with me/us in your comments. I am convinced more than ever that I'm not alone in this journey! PS. The books Christi recommended in her comments on Friday's post are some of my favorites, too. I've loved your stories about meeting your friends. Thank so much for sharing them. Some have made me smile, some have made me laugh (Hazel!) And some of you have been gut-honest about how hard friendship can be, and I love it (the honesty that is)! This week I wrote a story as part of a devotion for P31 that will run next Friday. I am going to post it below. So many of your comments resonated the past week with thoughts and stories of how hard it can be to make friends and fit in with people who seem like they have more to offer. So, today I wanted to share more of who I am and where I've been. I know how easy it is to see someone in ministry who is in a role that the world would require she "have it all together" and then assume she does. I cannot even tell you how far from the truth that is for me. But I understand. I have looked at other women in ministry (who were in similar places to where I happen to be now) and thought, "They have something I could never have. They are someone I could never be." Not just externally, but internally. They have confidence, security, special gifts, etc. But I have been shocked that someone would look at me and feel that way. Recently one of you so sweetly commented that you hesitated to leave a comment on my blog in the past because you didn't think you had something to offer someone like me, but then you realized I was normal. Oh, thank you Jesus for revealing that!! Actually, at time I feel abnormal and quite inadequate. I've especially struggled on and off during the past two years after God called me to be on the radio and to the role of Executive Director over three major areas at P31. Many days I wake up with doubt and wonder how I am going to fulfill the roles God has called me to. I'll share some time how I respond to my doubt and experience God's power to get up and go in the strength He has given me. But what I want you to know is that I am so much like you - a woman on a journey toward becoming the woman God created me to be! I am surrounded by very gifted women and it's taken me YEARS to get comfortable in the skin God put me in. I decided just this week that my new motto is: "I can't be what I'm not; I can't give more than I got!" But I sure have tried in the past. I started praying we’d run out of time before they came to me. But just in case I had to answer, I listened to everyone else describe their dreams, hoping to get ideas. One wanted to be the first female president of the United States (that would be Lysa). Another friend said she’d always wanted to sing in a Christian rock band (That would be Glynnis, P31 Woman Sr. Editor). I was in trouble. Here I was 32-years-old (at the time) and didn’t know who I was or what my dreams were. Eventually everyone looked at me for a response. I stumbled over my words but finally admitted that I didn’t really know what I loved to do. I didn’t have a dream. I felt like a third-grader living in a grown woman’s body. Did I want to be a nurse, a school teacher, or a movie star? Who was I? What did I like to do? Unfortunately, I’d never taken time to answer those questions. Instead, I had tried to be who others wanted or needed me to be. But honestly, I wasn’t very good at it. I often had this uneasy feeling in my heart and a sense of just not being happy. I was also a constant candidate for burn out. Later the facilitator encouraged me to ask God what His dreams were for my life and to spend time getting to know myself better. She also suggested I read some books on personalities. I took her advice and began a process of getting to know the real “me” who’d gotten buried in the busyness of life and people-pleasing. As I read books about different temperaments and personality traits, I started to recognize what I liked, strengths that came natural for me, and what I needed emotionally to encourage my heart. Instead of wanting to be like women I knew and admired, I realized there was a reason that I was who I was – with my passionate preferences and mixed bag of emotions. For the first time I felt like someone (the author of those books) understood me. I also sensed that God wanted to use the unique way He made me to shape my heart for ministry. Isn’t it easy to completely neglect ourselves to meet the needs of everyone around us, and call it self-sacrifice? It sounds godly, but in doing so we risk shutting down a place in our soul where God’s dreams and gifts are waiting to be revealed. It’s not self-seeking but God-seeking to intentionally get to know and become the woman He created you to be. Getting to know the woman God created me was a huge step in me becoming a good friend. Until then, I didn't think I had anything to offer other women. But when I started getting to know the "real me" I discovered the gifts I had to offer in friendships and in ministry. Okay, now I want to know more about you. How well do you know the real you? Have you ever taken time to think about what you like to do? How would you fill your free time if you had no fears, no insecurities and no doubts? (I know, you have no free time, but what if you did?) What are your dreams? Please post your thoughts by clicking "comments" below. Can't wait to hear YOUR heart!